Designed with your bedroom in mind, Damien has storage sorted. 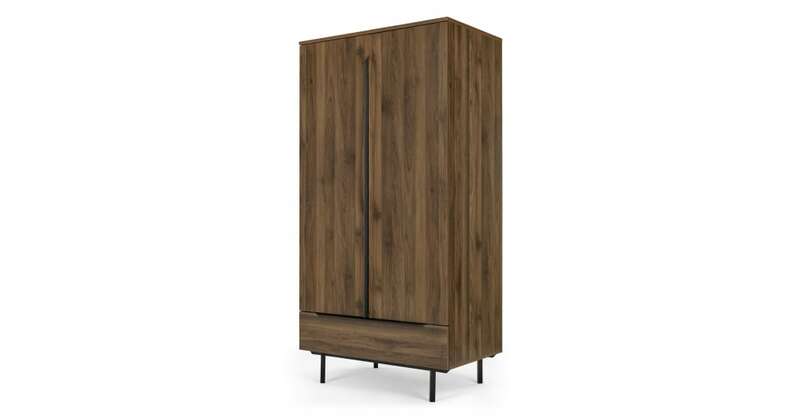 Think walnut effect with subtle contrasts, this wardrobe has it all. Set on slim metal legs, this Damien wardrobe is a sight to behold. Ample hanging space and a generous drawer underneath keeps this piece functional – plenty of room for your clothes. Love Damien? You’ll want to see the rest of this collection. With a matching chest of drawers, bedside table and more in the collection, consider your storage problems solved.